Continental Shoot’s open certain times of the year. Call for availability. After shooting in one of our continental shoots a couple of weeks ago, a fellow from Seattle remarked this is not something you can write about or even explain to someone and have any reasonable expectation that they will grasp the concept, much less, realize how much pure fun can be had in such a simple endeavor. But I will try. Our continental shoot is a variation on the driven shoots enjoyed by the aristocracy in Europe for hundreds of years. Driven shoots start with the shooters taking their stands on the opposite side of a tall line of trees adjacent to a large field full of pheasants. A line of drivers push through the field, flushing the pheasants over the trees into the path of the waiting shooters. Pheasants flying very fast and very high come over the shooters stands to be met by a volley of shotgun blasts intended to bring their flight to an abrupt end. The loaders frantically try to keep the shooters armed with the goal being to take as many of the pheasants as humanly possible. Then as the shooters retire back to the lodge for a post-hunt feast the birds are dressed and taken care of by the workers. With the concept being the same, we altered the mechanics of the shoot to create the Little Canyon Continental Shoot. Our shoot takes place in a steep canyon on the Peck, Idaho ranch. Ten stands are set up across the canyon and birds are released from sites even further up the canyon. As the pheasants approach the stands at about mach 2 with their tails on fire and often thirty to forty yards high in the trees, the shooter’s success can often be sorely tested. We start the shoot with an explanation of the concept, a review of safety concerns and an introduction to all the retrievers and their handlers. Each shooter then draws for their starting stand, numbered one through ten. Depending on the shoot, twenty or more birds will be released at each stand as the shooters progress through the full ten stands over the period of the shoot. 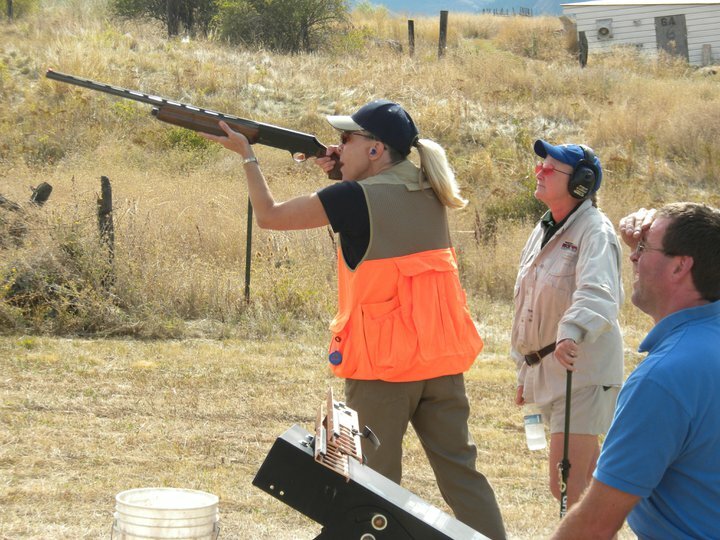 Shooting all ten stands gives the participants an equal chance for the shot stands of the days. After each stand has been shot the ‘hunt master’ announces that it is time to rotate stands and the shooters unload their guns and proceed to the next stand on their card. Halfway through the shoot we take a break for refreshments and to secure more ammo. After the second half of the shoot has been completed we make sure all the birds have been secured by the retrievers and then return along with the dog handlers to the lodge for the hunters feast. At the lodge we give the shoot results in total number of birds taken and the percentage taken. Up until 2008 the best percentage ever was 74.2%, but in two shoots in February, 08 two groups shot 75% back to back. The average usually runs about 56% to 60%. The dressed birds are then divided equally among the ten shooters. We recommend bringing five to six boxes of #7.5 or #6 shot for the shoot. A modified choke seems to work as well as any and an auto-loader with the plug out provides the shooter a greater opportunity for success. Hunters being what they are, we always have a money bird to keep things interesting and often set up circles on the course so the shooters may wager on who can place the downed pheasant in the circle. If you want to have a fabulous outing or maybe want to entertain some very special clients, give us a call. 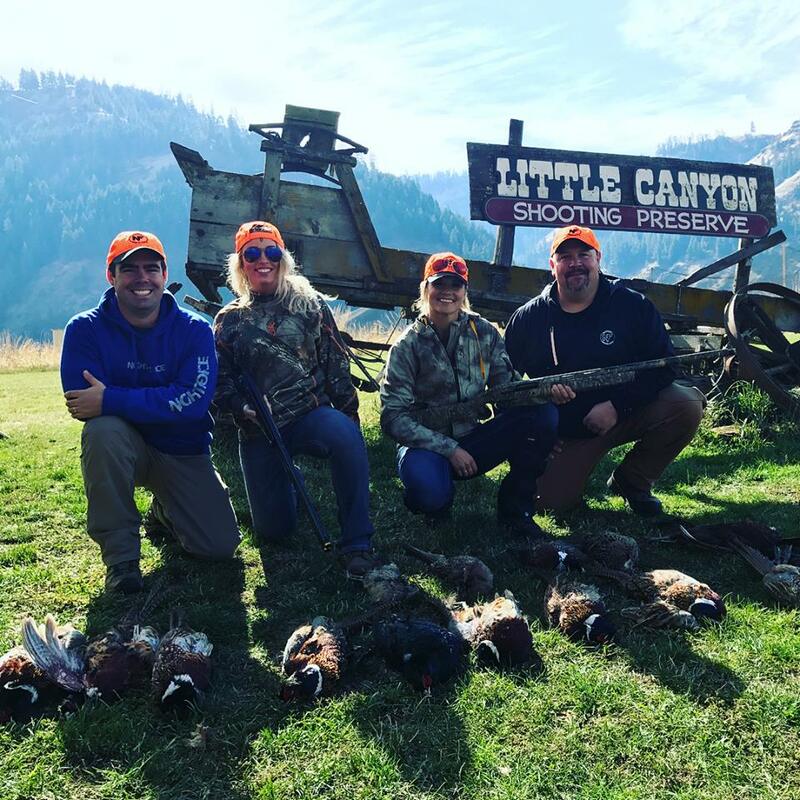 You can combine your continental shoot with any combination of overnight stays, sporting clays and field hunts that you prefer. 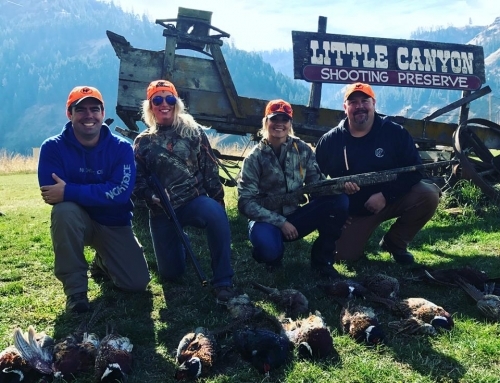 The birds are some of the best we have ever had, so give us a call to book your field hunts and continental shoot with some of your friends, family, and customers.